What is the Pribina Cub? 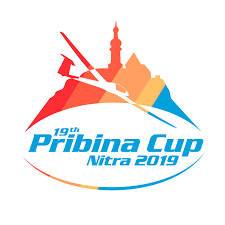 The Pribina Cup is one of 10 qualifying rounds of world championship Grand Prix in sailplane gliding that is organized by Aeroklub Nitra. The event took place at the aerodrome in Nitra in 2008 for the first time and its objective was to choose two best pilots who will be through to the finals of the world championship Grand Prix. No more than 20 pilots may take part in the qualifying round. They are selected according to their current position in the IGC ranking, preferring the domestic pilots. According to the organizers, the best attraction of Grand Prix is the fact that all sailplanes have a device scanning its position and height in the real time, and therefore, it is possible to follow the competition on the internet in the surroundings similar to the Google Earth in 3D imaging with a live commentary in English. This fact enables the promotion of the event in the public. The event is free for all who are interested in gliding, and they can enjoy the gliding of sailplanes over the region for several days. Nitra is known as a great place for any aviation sport moreover, the climate and natural resources of Slovakia have made the country an ideal place for tourism and other sports, including flying. In recent years, Slovakia has been one of the most frequent destinations for pilots of non-powered aircraft. Without the support of pilots, partners, and fans, Nitra and Slovakia would not become famous in this sport and could not even achieve the goal of organizing such an exciting and amazing event.